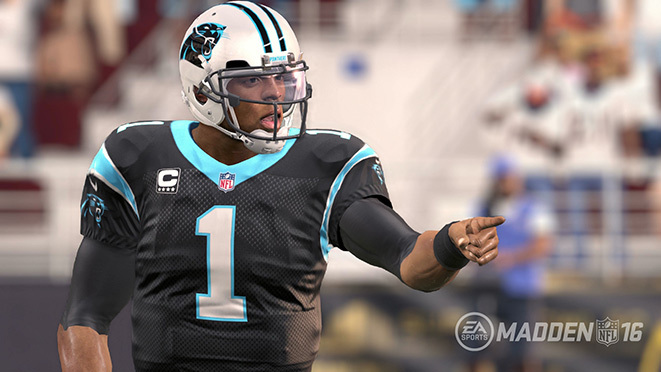 According to Ea In Super Bowl 50, Carolina sets the tone early, jumping out to a 10 – 0 lead on the strength of a huge kick return by Ted Ginn Jr., which Cam Newton finished off with a touchdown pass to Greg Olsen. The Panthers added a field goal to close the quarter, and then scored again in the 2nd on a Jonathan Stewart rushing touchdown. Facing a 17-point deficit at halftime, Peyton Manning decided he wasn’t going to let his Super Bowl legacy be defined by two blowout losses and rallied the Denver offense. The consummate playmaker, Manning began dissecting the Carolina defense, capping off a 3rd quarter drive with a touchdown toss to Emmanuel Sanders. 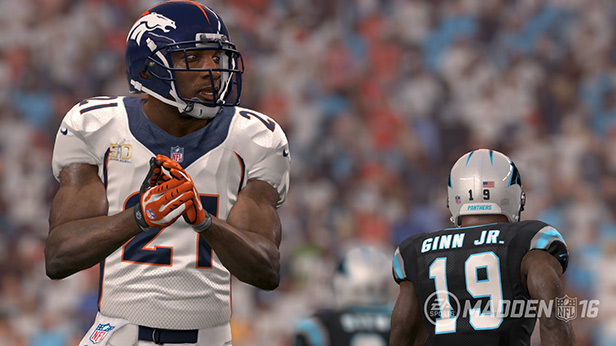 Denver’s defense also responded, with Aqib Talib picking off Cam Newton and setting up a Broncos field goal. Denver continued their scoring explosion, adding another field goal and pulling to within 17 – 13. Denver kept the momentum rolling in the 4th, with Manning finding Demaryius Thomas for another touchdown, putting Denver up 20 – 17. Cam Newton wasn’t done writing his own Super Bowl legend though, putting the team on his back and scoring a game-winning touchdown with a determined goal line scramble. 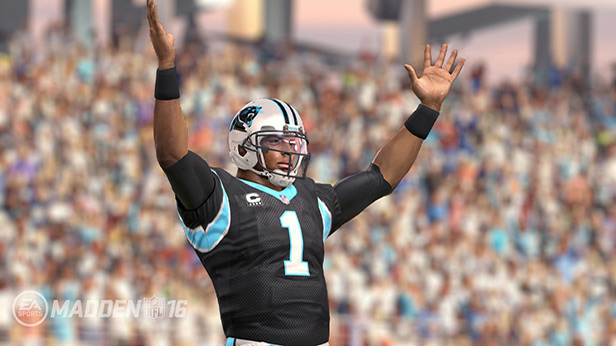 After a wild and emotional game the Panthers stood victorious, claiming Super Bowl 50 by a score of 24 – 20. After a thrilling contest, Cam Newton claimed the Super Bowl MVP Award, completing 19 of 26 passes for 216 yards with one touchdown and one interception. Jonathan Stewart added a touchdown of his own on 47 rushing yards, with Greg Olsen tallying 79 receiving yards and catching Newton’s only TD pass. On the defensive side, Josh Norman led the Panthers with 6 tackles and one interception. Across the field, Peyton Manning completed 21 of 37 passes for Denver, tallying 241 yards, two touchdowns and one interception. 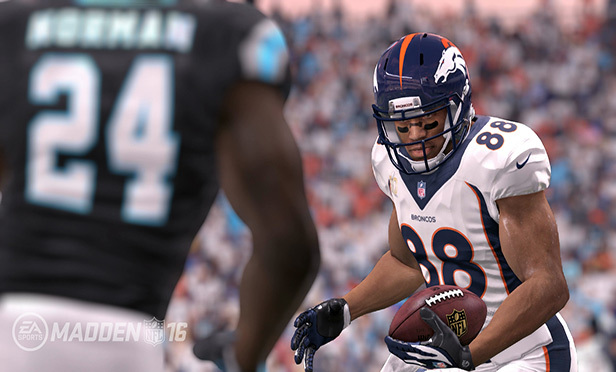 Demaryius Thomas was Manning’s favorite target, hauling in six receptions for 98 yards, and one touchdown. Emmanuel Sanders claimed Denver’s other touchdown, alongside 65 yards on five catches. Aqib Talib provided the biggest impact for Denver’s defense, with five tackles and one interception. 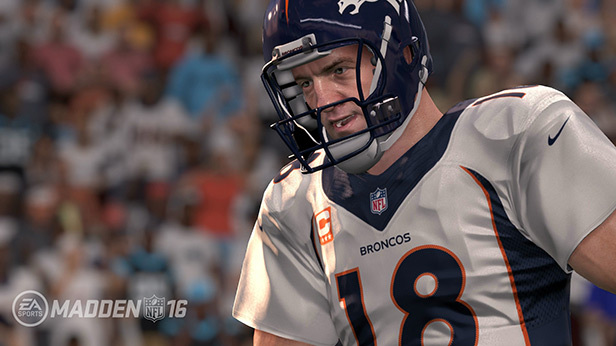 For the first time ever, fans can get in on the action for themselves by heading over to the Madden NFL 16 Super Bowl Prediction Hub and create their own outcome based on a variety of factors.